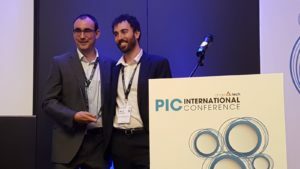 VLC Photonics – 2019 PIC Awards winner! This month is very exciting for us! Another prize rewarding excellence, innovation, and success – How amazing! Firstly, we would like to thank you for your votes and for your support. It’s a great honour for us to see that our work is appreciated. PIC Awards is produced by Angel Business Communications – the organisers of PIC International Conference and PIC International Magazine. To recognise and highlight key industry achievements in advancing photonic integration through platform development, manufacturing, design, packaging and device characterisation, PIC International magazine hosts its 3rd PIC Awards programme. It is dedicated to celebrating leading lights in the industry. 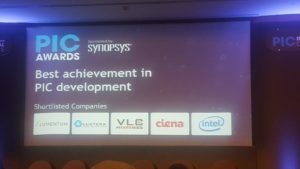 We have been rewarded in “BEST ACHIEVEMENT IN PIC DEVELOPMENT” category. This category celebrates the efforts of foundry service providers, fabless companies, equipment manufacturers, and packaging and test centres enabling the future production of Photonic Integrated Circuits, PIC-enabled products, enabling innovative applications to the field on photonic integration. 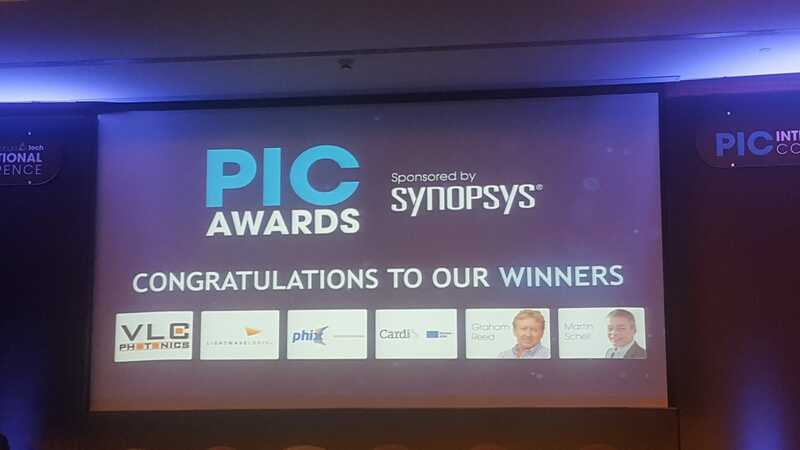 The winners in each of the seven categories received their awards at Awards Ceremony the PIC International Conference (26th March 2019) in Brussels in front of over 250 senior industry professionals. Proyecto cofinanciado por el Ministerio de Energía, Turismo y Agenda Digital. Ref. TSI-100103-2015-24. © VLC Photonics S.L. - All Rights Reserved.